In this week's Q&A, we interview María Robledo Montecel, president and CEO of IDRA in San Antonio. 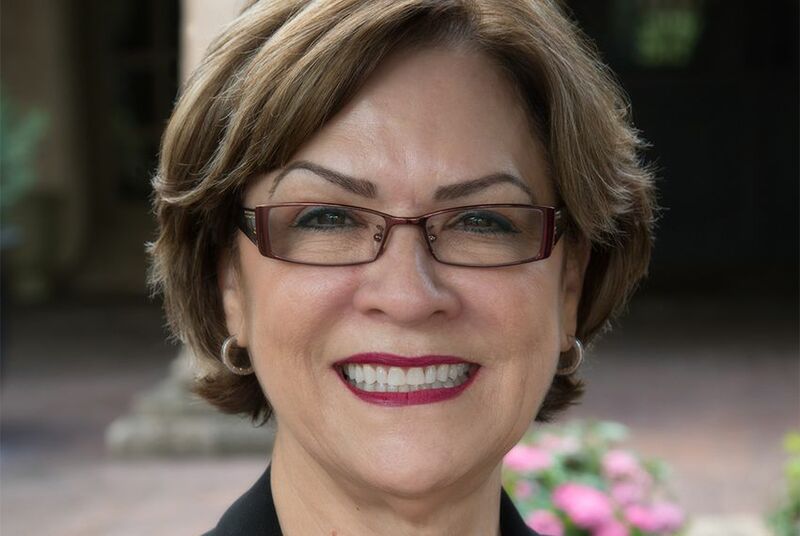 Maria “Cuca” Robledo Montecel is president and CEO of the Intercultural Development Research Association in San Antonio, an independent, nonprofit organization dedicated to assuring educational opportunity for every child. IDRA works with school systems, institutions of higher education and communities across the country to create education that works for all children, particularly those who are minority, poor or limited-English-proficient. A nationally recognized expert on the prevention and recovery of dropouts, Robledo Montecel pioneered research on school dropouts in Texas. She was principal investigator and project director of the Texas School Dropout Survey Project, the first statewide study of dropouts in Texas. She also has authored and co-authored a number of publications focusing on effective bilingual education, school holding power and parent leadership. Trib+Edu: Tell me a little bit about the work of IDRA. Why is it important to focus on dropout prevention for Latino students? María Robledo Montecel: The work of IDRA for the last 40 years has been and is and remains to assure that all students have access to high quality schools. And, of course, in order to have that kind of access, we need to make sure that students stay in school. The state of Texas, unfortunately, does not do a good job of holding on to students through to high school graduation. And among Latinos in Texas, dropout rates are actually the highest of all groups. IDRA conducted the first statewide analysis of data on dropouts in 1986 and has been looking at that consistently over time. There have been improvements. However, the improvements are not consistent with what is needed. Our most recent study found out that one out of every four students in Texas high schools drop out before they graduate. That is a 25 percent failure rate for Texas. Schools are two times more likely to lose black, Hispanic kids than white students. And the racial, ethnic gap is actually wider than it was 28 years ago when we conducted the first study. Also, schools do better with girls, but the gender gap is particularly bad for boys from ethnic minority groups. So these are all issues that need to be addressed. Trib+Edu: We see headlines where state leaders point to statistics that indicate Texas has some of the best graduation rates in the country. Do you think those stats tell the complete story? Robledo Montecel: No, I don’t think they tell the story, as a matter of fact. One of the contributions that IDRA has made over the last several decades is to ensure the state does not continue to use these sort of questionable practices to exclude students from the Texas dropout counts. The last time that we looked at this, 82,500 students and their actual enrollment had not been verified. I think now, though, based on the data that comes from UT-Austin, that comes from Rice University, that comes out of Washington, D.C., there’s quite a bit of consistency that Texas has a problem with regard to educating all students, keeping them in school and ensuring they have a good shot at life. Trib+Edu: In light of the recent lawsuit filed on the adequacy of English language learning programs, has the state done enough to give Latino students the best chance at success in high school? Robledo Montecel: The first thing I would say is that English language learners are one part of the Latino population in Texas. Latino students are now the largest group in Texas. We are blessed with many good things in Texas. … We have a large, fast-growing population of young Latinos that are important to the economy. Four years ago, Latino children became the majority in Texas schools, and white children are now fewer than a third of first-graders in Texas. In terms of English language learners, the last count was that 17 percent of the state enrollment are English language learners. They are among the most likely to drop out. They have the highest proportion of students who are not passing end of course exams. This LULAC v. Texas case that was filed on June 10 is a complaint against the state for not effectively monitoring the effectiveness of services for English language learners. Trib+Edu: Do you find that lawmakers and state leaders have the proper appreciation for those numbers or are they not understanding the extent of those demographic changes? Robledo Montecel: No, I think they’re not quite understanding the extent of the demographic changes and, more importantly, the implications of those changes. Latino children now, because of the demographics, have the greatest say in the future success of Texas. And education in Texas is now largely a matter of educating Latino children since they are more than half of the student body. It’s important to know, especially these days, that this is not an immigration issue. This educational change conversation is about native-born Texan and American children who are now growing up. High quality education for all students, including Latinos and other minorities, is really about a future we share. And I find it unsettling that at this very precise, historical moment in which Texas K-12 schools have become majority Latino, the state of Texas has removed rigor from the standard curriculum. They have taken a cut-rate approach to higher education. And we simply cannot afford this. Policymakers have a big job. They also need to make sure that they address the Texas system of school finance, which is still inefficient, inadequate, arbitrary and unfair. Our latest analyses indicate that between the poorest 10 percent and the richest 10 percent of school districts, there’s still a disparity of $36,120 for a classroom of 20 students. We have to make sure that the quality of a child’s education is not determined by their family income. It’s not determined by the neighborhood where they happen to live. People who are paying the same taxes to educate their children should get the same return for that effort and that is not so under the current system. Robledo Montecel: We are doing studies right now on the added cost of educating English language learners and the specialized curricula and resources that go into that. We find that the allocations have been the same for the last several decades. It’s time to increase that. We are undertaking studies on that and plan to have a symposium that will look at those issues in early February. Trib+Edu: Is there any aspect where the state is making good progress in ensuring equality of opportunity? Robledo Montecel: There are school districts and schools in Texas that are demonstrating how we move forward. We have very good examples of that. We just published a study that looked at successful access to college in the Pharr-San Juan Independent School District. We find that high impact innovations that work have certain key features. One of those is that they value students of all backgrounds. Another is they use sound information; they use sound metrics to know where things are and where they need to head. They make sure that students have access to quality teaching, and, of course, quality teaching is going to be a big issue in the Legislature — how to set a policy that enhances quality teaching for all students. We also find that those that are producing results have high-quality curricula that actually has kids enrolled in algebra II and other courses that are necessary to pass the SAT, the ACT to be eligible for the 10 percent plan and to be eligible to go into selective colleges and universities. And they engage, of course, student families and community members so that the Latino and the African-American communities become part of the solution, which is exactly what needs to happen.